This weeks challenge is really fun! Try something new! Do you have a new Stamp, Die or Technique you have been wanting to use? I know I do! I have a new Stamping Bella stamp that I'm using this week for the Challenge. 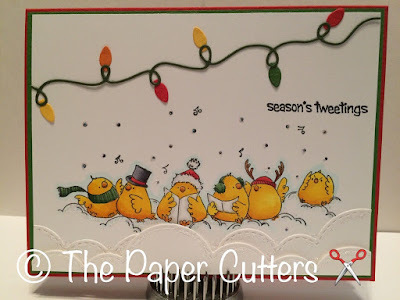 This little stamp is called Caroling Chicks and you can check it out here http://stampingbella.com. Please play along with us this week by submitting your project on the Little Red Wagon Blog here http://lilredwagon.blogspot.com. So cute! I love the dies you used. So cute! Love these beautifully colored birdies! So cute. Those chicklets are the best. Simply adorable! 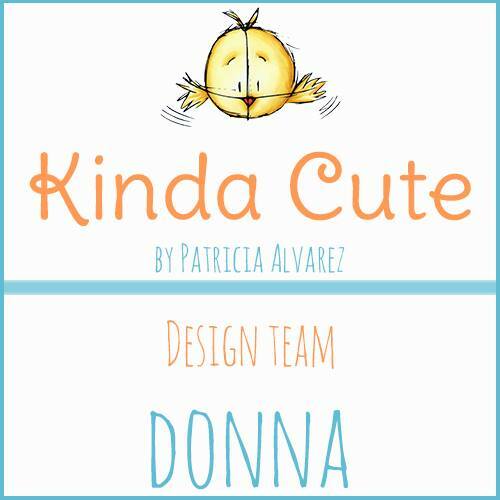 I just love your style, Donna!